Curious about who is on your family tree? With the advent of online databases, it’s easier than ever to trace your roots back hundreds of years if you have the right tools. This seminar includes four sessions taught by experts in the field of genealogical research and lunch n’ learn roundtables on travel to (and research at) overseas archives in Hungary, Poland/Galicia, Germany, Latvia, Lithuania, and Moldova. There will also be displays of genealogical crafts, DNA testing and plenty of time for networking and one-on-one Q & A. By the end of this daylong seminar, you will be on the path to knowing more about your heritage and history than you ever thought possible. A half hour opportunity to get one-on-one help with your questions and view our collection of family history books, name dictionaries, historical works, regional maps and more. Ancestry.com is constantly adding new historical records and services to help you better find your ancestors. This lecture will introduce you to the most recent additions to Ancestry.com including content, website features, product enhancements, and much more. Genealogy by genetics is the greatest addition to genealogy since the creation of the family tree! When there are no records and the paper trail dead ends, discovering the information contained in your DNA can open doorways. Bennett will discuss the different types of DNA tests, what you can – and cannot –learn from them and how to make sense of the results, and how to establish, or search, a “surname project.” Whether your goal is to verify your genealogy or to discover your deep ancestral origins, Family Tree DNA has the largest and most robust Jewish databases available today. BYO or purchase lunch at Zeidlers or the food cart, then join the smorgasbord of tables to explore new or ongoing interests while you eat. There will be regional special interest group stations lead by experts, displays of online resources and our speakers will be at your disposal. You can also purchase DNA test kits at this time or check out the JGSLA genealogical traveling library. The One-Step website started out as an aid for finding passengers in the Ellis Island database. Shortly afterwards it was expanded to help with searching in the 1930 census. Over the years it has continued to evolve and today includes about 200 web-based tools divided into 16 separate categories ranging from genealogical searches to astronomical calculations to last-minute bidding on eBay. This presentation will describe the range of tools available and give the highlights of each one so you can make progress on accessing your ancestors records—whether immigration, census, naturalization and more. Ancestry.com holds the largest online collection of Jewish family history records. Discover what records are available in this collection and receive expert advice on how to find the records about your ancestors. On Ancestry.com you can now access almost all of JewishGen’s records. Learn how to use these powerful tools, which can be applied to finding non-Jewish records as well. Crista, Steve, and Bennett will answer all of your questions. Moderated by Pamela Weisberger. 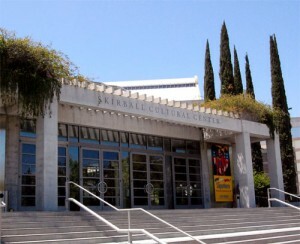 Fee for the entire day is $50 for JGSLA & Skirball members (use discount code: 99735) , $60 for everyone else. Click here to register online for this symposium! Handouts on all the talks will be provided and feel free to bring your laptops, notes and more. Free wireless will be available on site. Lunch is not included. You can bring your own or purchase food from Zeidler’s Cart. Easy garage parking at Skirball. Click here for directions and a map. Stephen Morse is the creator of the One-Step Website for which he has received numerous awards, including a Lifetime Achievement Award. He is a computer professional with a doctorate degree in E.E. – Electrical Engineering. He is well-known as the architect of the Intel 8086, which sparked the PC revolution. Crista Cowan, is a world-renowned speaker, professional genealogist/family history expert and the Community Alliance Manager for the Ancestry World Archives Project. Bennett Greenspan is the president and CEO of FamilyTreeDNA.com. An entrepreneur and life-long genealogy enthusiast, Mr. Greenspan founded FamilyTreeDNA.com in 1999, turning – dare we say – a hobby into a full-time vocation. Pamela Weisberger, program chair for the JGSLA, will be moderating the day’s activities.